If you haven’t been by the fields lately, I encourage you to stop by and see what your generous support is creating. Our stadium contractor has been onsite the last few weeks and as you can see by the pictures below, they have made a lot of progress. The stadium is 90% complete. It is very exciting to see something that at one point was just “talk” really start to take shape. We held a status meeting at the fields the other day and I heard “is this really happening?” from more than one person. There is a holdup on the delivery of the press box which pushes the completion of the project back a few weeks. 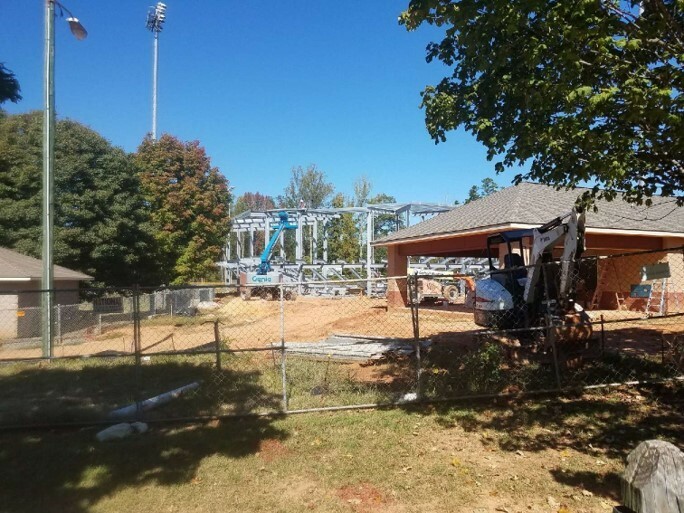 Kodiak Construction, the general contractor managing the bathrooms and concession stand portion of the project, as well as the dugouts, backstop and the new plaza, needs approximately 30 working days after the stadium crew is finished in order to wrap everything up. 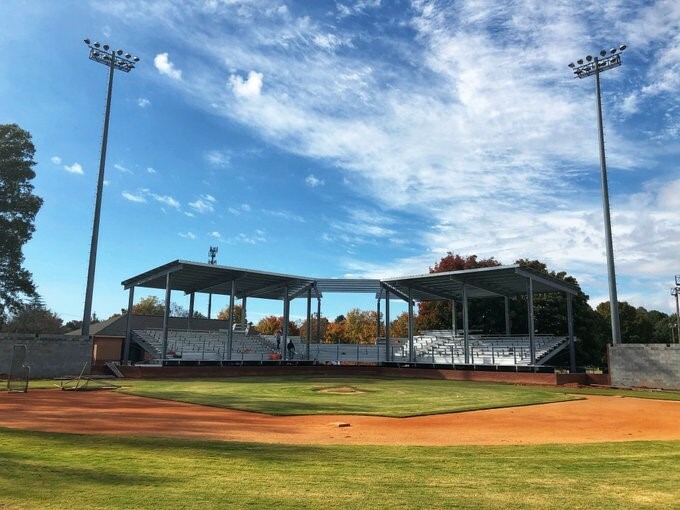 We expect to finish the Keith Stadium and McCollum Concession Stand improvements by year end. We will be closing this Capital Campaign on December 31st, 2017. A large plaque will be placed at the Stadium acknowledging the donors who have supported this Campaign. All donors who have made a donation, or who have made at least one payment towards a previous pledge, will be included on the plaque. This includes new donations/payments made between now and December 31st. If you know of anyone who might support the Campaign and who would like to have their name included on the plaque, please help me by reaching out to them and letting them know that time is running out. They can support the Campaign by going to https://leagueathletics.com/UserForm.asp?RegID=98288&org=mptll.org. Additionally, if you would like to increase your support, please consider making another donation, or adding to your current pledge. Storage structures at each field – behind the backstops of Bissell, KC, Wade, Founders, GH1 and GH2. Please reply to this email and let me know how you want your name, your family’s name, or donor’s name, to be displayed on the plaque. We want to get the acknowledgement plaque right, so please take a few minutes and send me an email with the name(s) you want listed. If you are making payments towards your pledge, please plan to do so before the end of the year. You will able to include the payment in your tax planning for 2017, and the League will be able to make the first construction loan payment that will be due in the first quarter of 2018. Kelly will be sending a reminder via email soon. We are working on plans to dedicate the stadium and concession stand in 2018, and will announce the date as soon as it is set. Our hope is that you will be able to attend.